Awareness- Through access to world-class solutions, subject-matter experts and superior building standards, such as FORTIFIED Home™, we serve as a hub of information and innovators, sharing knowledge with consumers, policymakers and stakeholders to teach them about the resources available to build a resilient community and how to apply them. Advocacy- We support improved building codes and policies that create resilience and strengthen communities against the severe weather hazards they will face. 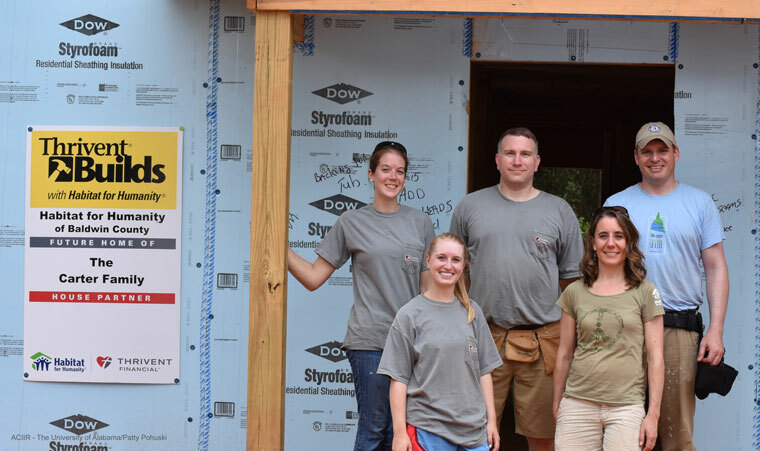 Action- Our team and partners implement solutions that create stronger communities, such as improving building codes, building resilient homes and implementing mitigation funding and smart financing opportunities. The public and private sectors, research and development organizations, manufacturers, the construction and insurance industries, real estate, banking, civic groups, academia, government, municipal staff, policymakers, elected officials, non-profits, resilient minded organizations and businesses, thought leaders and consumers. Bringing these groups together opens up the discussion of what is at stake. It's not always easy, yet it ensures everyone has an understanding of the resources available to strengthen their community, homes, and businesses. By getting the same information and resources at the same time communities can get on the same page, have productive conversations and debates and decide the path to resilience that is right for them. This flexible approach has been proven to create customized solutions that work for individual communities. Hate being the last to know? Stay informed about the latest developments in stronger construction, building codes and disaster resistant communities.